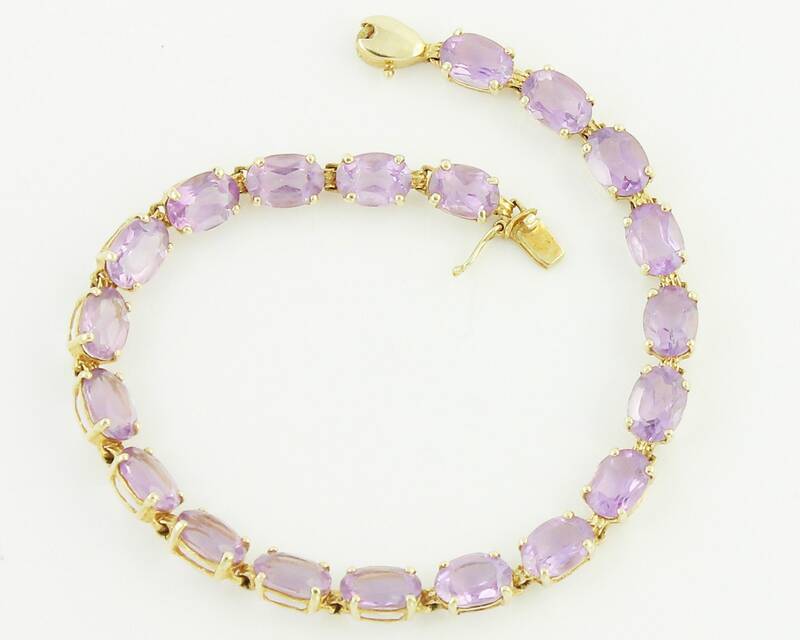 Vintage 1980's 10K Amethyst Straight Line Bracelet. 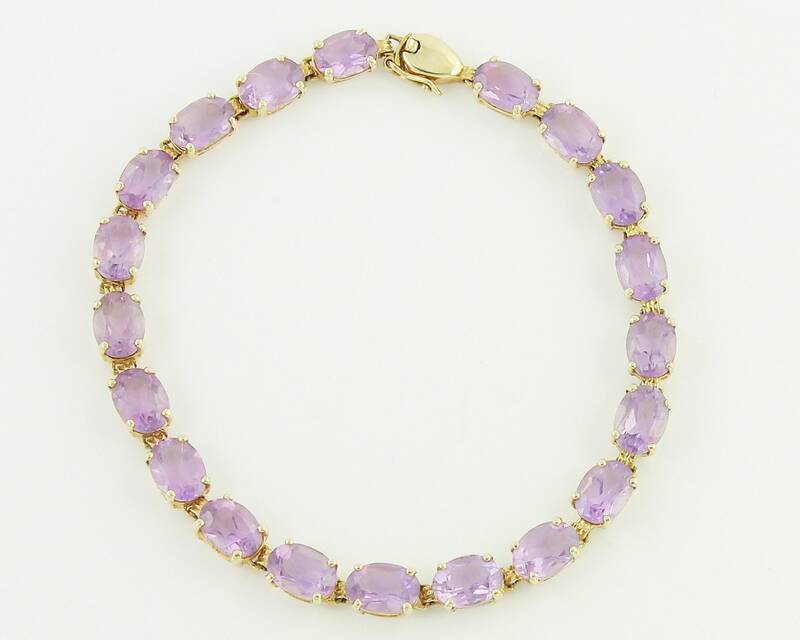 This beautiful bracelet was made in the 1980s and has twenty oval faceted light purple amethysts, each set with four prongs. The stones have a total weight of 13 carats, as estimated by measurement. The bracelet measures 7 inches long and 3/16 inch wide, with box catch and figure 8 safety clasp. Condition: Very good vintage condition, with minor surface wear and no damage noted. Measurements: Bracelet is 7 inches long and 3/16 inch wide.